Yes! It is Carolyn Cason, otherwise known as “The Mighty Ed”. See, that should have given us all a clue. Anyone who uses the word mighty in their super sly alias is obviously up to something! 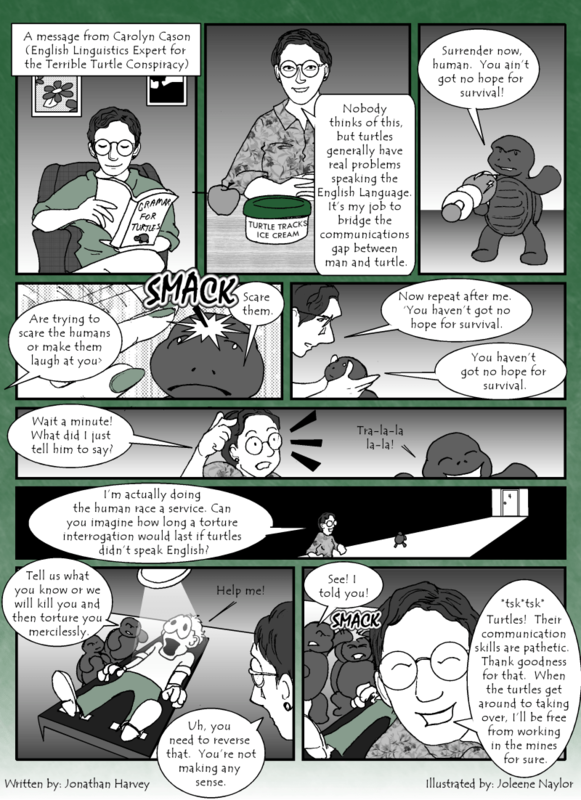 But who knew she was helping the turtles – and with grammar no less! Together, we can overcome this! 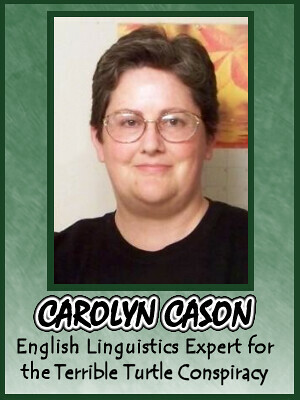 Carolyn Cason is a grammar guru, a freelance editor, and just all around fun.